You'd think that by now we'd have a pretty good empirical understanding of how economies grow, i.e. 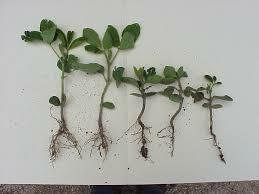 what the normal pattern of growth is through time. We've been studying economies for a couple of centuries, and have had reasonably good numbers of the (crude) measure of GDP for half a century. 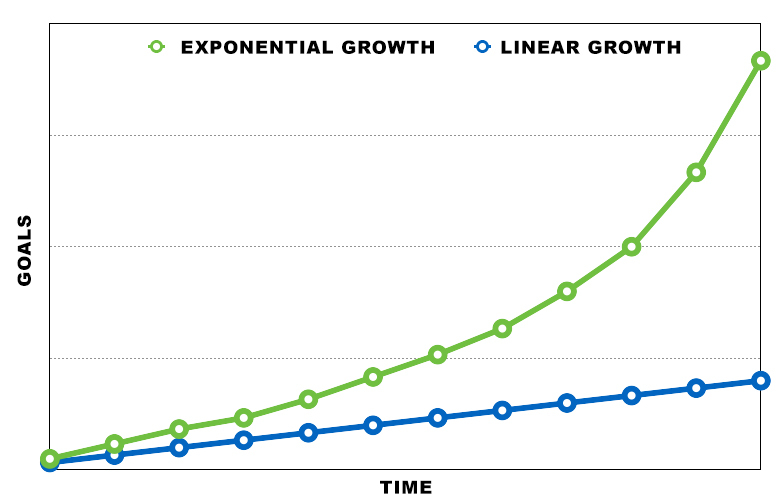 In economics -- and among the financial media generally -- it's almost beyond question that the normal pattern of economic growth is exponential growth. Indeed, almost no one ever supposes it might be different; we only debate how fast or slow recent exponential growth has been. But we might be wrong, especially for mature economies. That's the conclusion of some recent research by a team of European economists and statisticians who looked at the data on 18 mature economies from 1960 onwards. They find that the best fit to the data isn't exponential at all, but linear, suggesting that if growth was ever exponential (in young economies), it isn't like that any more. I wrote a piece in Bloomberg about this a couple weeks ago. I wasn't aware of this line of work, but apparently a handful of (mostly) German economists have been pointing to this evidence for nearly twenty years. It would hardly be surprising, of course, if human economies -- like individual people themselves, cells, bacterial colonies, trees and anything else alive -- turn out to have natural stages of growth, with fast growth eventually slowing toward something more gradual and, eventually, stopping altogether (which wouldn't imply the end of change, just some kind of balance). Current ideas in economics might need considerable re-thinking, of course. The work grew out of an effort to produce metrics for prediction markets for the IARPA ACE program, but has turned out to be more interesting in its descriptions of macro models. The shape of productivity growth in most advanced economies seems to have shifted from being exponential to being approximately linear round about 1970. The office manager cover letter is bets for the people who have economic lacks and supporting models. 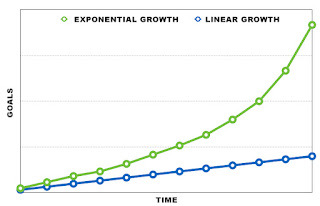 This is exponential. Quality content writing is very difficult in current prospective, but you having an excellent writing skills. Keep posting such nice article.Check Epic Research for best mcx, stock & forex tips. Thank you for sharing such great information. It was very informative and has help me in finding out more detail about IDBI News! We can't deny the power of real management that boost your business so much. If you want to have successful career and also better growth in business then you just have to serve best services. Do better things for your company. So, you want to say that the developing countries with very slow economies are going to succeed in the future? And those who have already developed will fail? Such idea is not new, but it doesn’t mean that the economists do not consider these aspects and do not refer to them in their forecast. Zong SMS packages: monthly, weekly, daily 2018-19.Zong offers affordable SMS services e.g. Zong daily SMS, Zong weekly SMS and Zong monthly SMS packages for its users. Zong is the leading 3G/4G mobile internet provider in Pakistan and a growing telecom company. Let us look at its SMS packages in this article. 500 SMS, 100 MMS and 30 MB WhatsApp per day bundle offer at only Rs 3.99. To subscribe dial 700# and reply with 1 or SMS < sub > to 700 and send a reply with ‘1’ from the bundles offered. 100 SMS, 100 on-net min, 50MB for Facebook in just Rs 8.
a forwarding force to Development has impression on Economic Growth as the time passes. So it is important to have focus on Healthy lifestyle. And Health is one of the growing & important segment of human life. Health is Business & Business is Health. Healthcare and Pharma has Business Opportunities . Pharma has the growing tendency and offers small scale business opportunities like PCD Pharma Franchise. SevaNow an awesome way to find Local Businesses - Find Healthcare & Medical Businesses, Doctors, Dentist, Pharmacy Franchise, Pharma Franchise Companies & more services like Pharma Contract Manufacturing and Products in Healthcare segments. Thanks for this informative content. It’s really good. Actually, I want to share some thoughts and reviews about an Australian assignment help company in Australia and the brand name is SAMPLE ASSIGNMENT. Here, I am working as an Academic Expert. To look at our online academic assistants who provide reference assignment including Accounting, Management, Finance, IT, Economics, Computer Science, Nursing, Marketing; all Academic subjects to University Students all over the Australia or even worldwide, Here is a big online assignment help providers who help students to get HD grades according to assessment guidelines and instructions. Those who are searching for assignment provider in Melbourne, Perth, Brisbane, Adelaide etc. get a touch with Sample Assignment - the No.1 Assignment provider. Any student really wants to buy an assignment at the cheapest price goes to our branded website and has a look and opts our amazing and informative services, you can avail of our convenient online assignment help and samples available on our website for free. You can download it if you want. Are you ready to get 100 out of 100 in your university assessment? We assign the best writer according to the subject for your academic problems and provide support in assignment writing services. Our Customer Care Executives are available 24*7 hours to assist you in the best possible manner. Phone calls and emails are the best methods used by online assignment help providers.